The Art Barn provides workshops for small groups of children aged 7 years and above during the school holidays. Usually there is one morning and one afernoon class each one being two and a half hours long. The classes always have a theme. The children design, make and decorate their work which is then left with us to dry out prior to two firings. 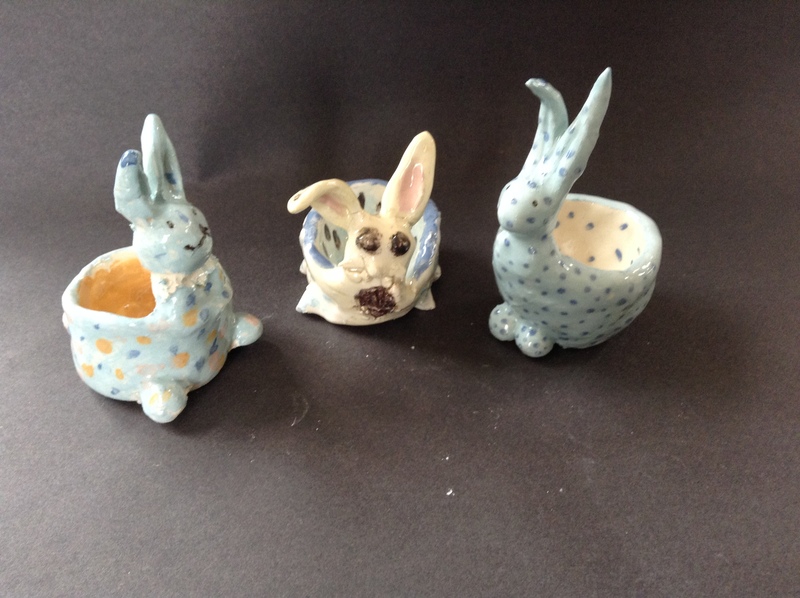 This can take about two weeks when we will e-mail everyone to come and pick up their fired and glazed pieces. Both Dave and Helen are always on hand throughout these sessions so there is a high level of tuition and support. Drinks and light refreshments included. 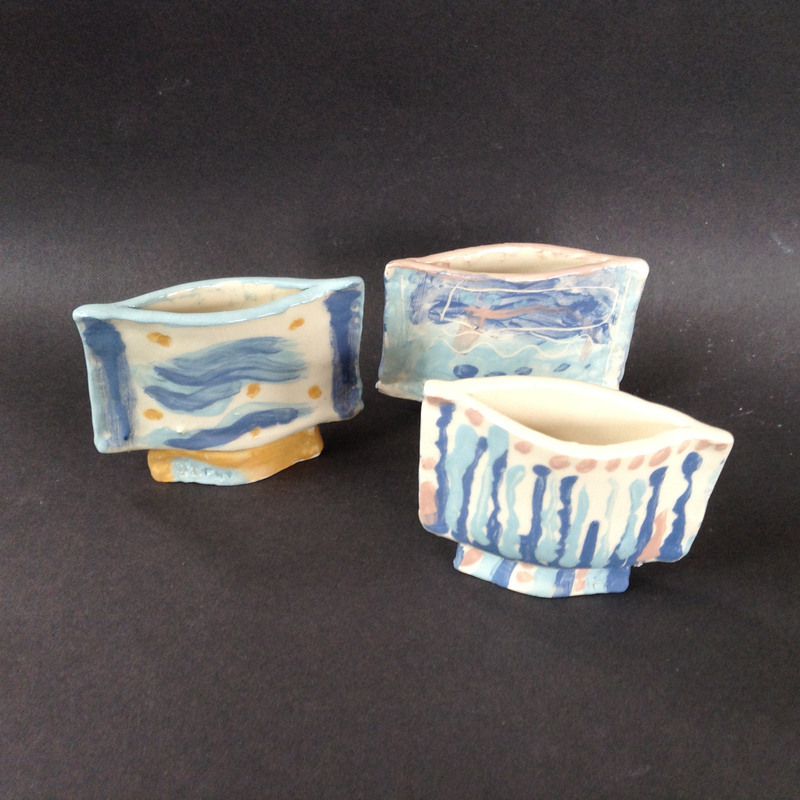 Some children’s vases May 2014.